Description: London, Methuen & Co Ltd. 1935, First Edition. Hard Cover, 7.5 x 5 inches. Name to front end paper. No other marks or inscriptions. A very clean very tight copy with bright unmarked orange cloth boards, dusty upper page edges and minor bumping to upper corners and spine foot. Very dusty dust jacket not price clipped or marked or torn with sunned spine and rubbing to edges. 204pp. 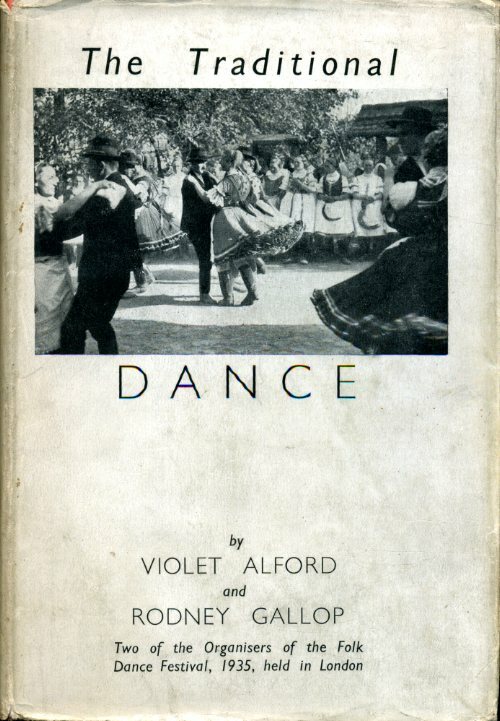 Written by two of the organisers of the International Folk Dance Festival 1935, we are shown dances from Britain and Europe such as Mummers, Morris, Sword Dance and the Horn Dance. Illustrated with photographs. Very Good/Good.